Item Number: 534-9-126L 16491 Actual Weight: 6.5 lbs. Eye-catching metallic bubble, with peel-and-seal closure, protects contents. 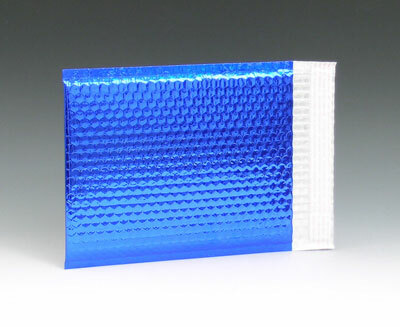 Mailer’s short term thermal properties work well when mailing temperature-sensitive items. Resists punctures and repels water. Sizes listed are usable dimensions. Additional colors available; call for details.